Overkill Pro™ is a very flexible OEM style foam made of closed cell vinyl infused with rubber, specifically engineered to absorb airborne noise in your doors between the frequency range of 15k Hz and 20k Hz. It is 3 times thicker than our regular Overkill mat and will do 3 times the work. 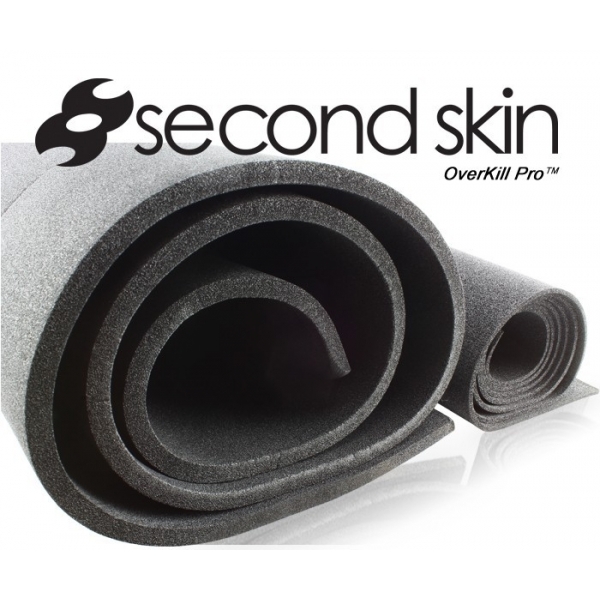 Over Kill Pro, as the name suggests, is an extremely flexible OEM foam noise barrier that is three times as thick as our Overkill mat, giving you sound protection that is three times stronger than the already very good results that our standard Overkill mat can provide. Made with a unique closed cell vinyl rubber structure, this CCF mat can do a fantastic job of absorbing sound waves in the frequency of 15k Hz and 20k Hz. Overkill Pro is best used as a compliment to our Luxury Liner or Luxury Liner Pro products. Please don’t expect to use Overkill Pro over just any vibration mat and expect great noise protection, as you just won’t get it. When used in conjunction with Luxury Liner or Luxury Liner Pro however, Overkill Pro can offer an advanced, added level of noise cancellation that will allow you to enjoy a serenely quiet cabin. Applying a layer of Overkill Pro inside the doors on top of your Damplifier Pro or Spectrum vibration dampers is the easiest way to improve the acoustics from your door speakers. First, Overkill Pro will reduce the airborne sound waves that are able to penetrate the vibration damper. This reduction in unwanted noise will equate to in increase in the desired sound which is your music. Overkill Pro will also reduce the intensity of distortion causing reflections inside your vehicle. The less noise that is bouncing around the car walls, the louder and clearer your audio system will sound. Almost anything you place in front of a heat source will help reduce or slow down the heat. Overkill Pro will help reduce heat to a small degree but is not specifically designed to do so. Any heat reduction noticed from Overkill is purely a side benefit, not an intended result. For The ultimate in heat damping protection, use a combination of Damplifier Pro followed by Luxury Liner Pro and Thermal Block. 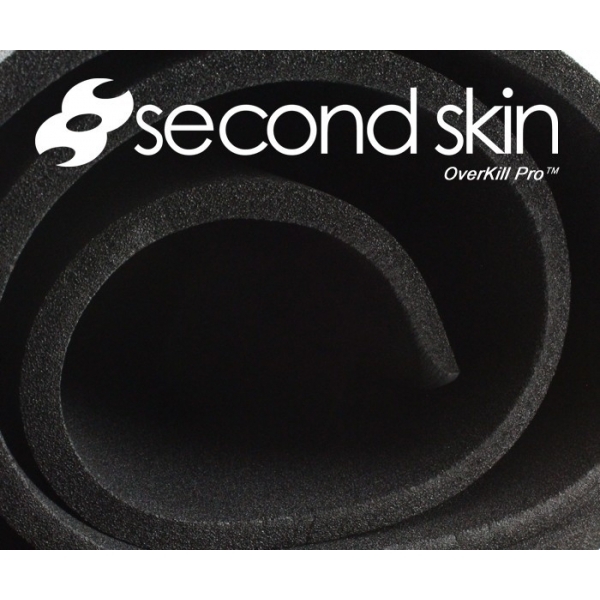 Overkill and Overkill Pro are both made from the same exact closed cell foam or CCF. The difference is in the total thickness and weight. Overkill Pro is a noise absorbing filter. Both products get applied on top of vibration dampers like Damplifier Pro or Spectrum in order to reduce airborne sound waves, but they do it in two totally different ways. Overkill Pro filters out specific frequencies that are able to penetrate the first vibration damping layer, but because it is so light, it allows many other sound wave frequencies to pass right through. Luxury Liner is a barrier that blocks and reflects the most difficult airborne sound waves that Overkill Pro is not capable of handling.